Grab shell, dude! Although, grabbing the Funko Pop Finding Nemo set is less dangerous but just as fun. The stylized figures capture memorable characters from the Disney Pixar film. The adorable Clownfish Nemo is brightly colored orange with white stripes and his squarish face makes his round eyes rather noticeable. Next up, fans will always remember Dory, despite the fact she tends to forget quite a bit. 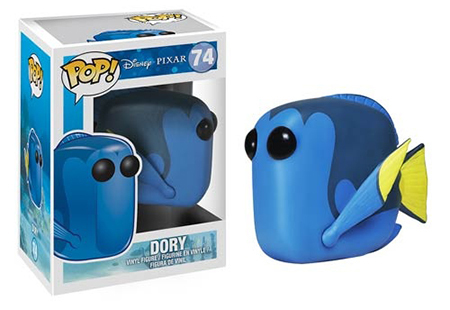 The yellow-finned blue tang received her first figure with Finding Nemo before getting her own film, and Pop! 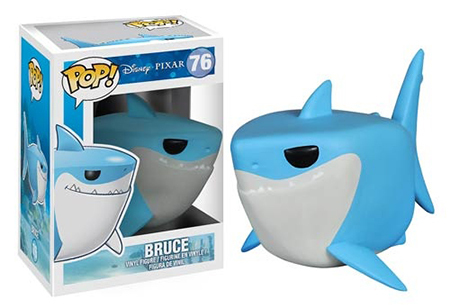 line, with the Funko Pop Finding Dory figures. 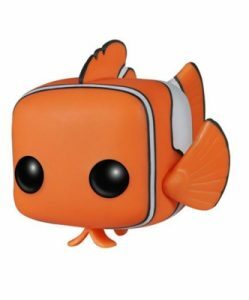 Shop for Finding Nemo Pop Figures on Amazon. Numbered into the Pop! 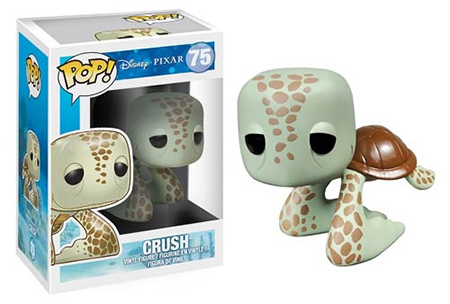 Disney vinyl set, Funko Pop Finding Nemo also includes the totally awesome, 150-year-old sea turtle, Crush. Posted on his front flippers, the figure gives the appearance that he's riding the East Australian Current. Rounding out the release is Bruce, a friendly great white shark who gave moviegoers the enduring "Fish are friends, not food" motto. 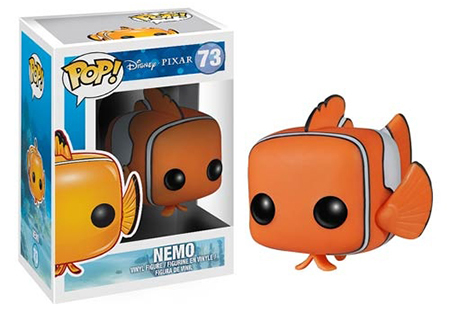 Finding Nemo collectors can also find Nemo, his dad, Marlin, and Dory in the Funko Finding Dory Mystery Minis set. Funko Pop! 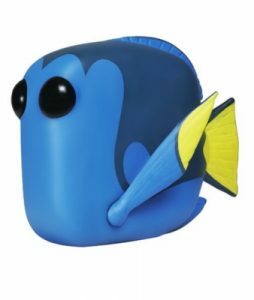 Disney Pixar: Finding Nemo Vinyl Figure - New In Box! !